U.S. drone "pilots" refer to people they burn to death in places like Pakistan as "bug splat" because they look like bugs being squished to death on the pilots' video monitors and because it's easier to murder bugs than humans. The human brain is a funny thing. Numerous human brains know that every human is a human, yet insist that various types of humans must be "humanized" before they can be recognized as humans. That is, even though you know someone must have a name and loved ones and favorite games and certain weaknesses and a couple of quirks that friends find endearing -- because each and every Homo sapiens does have such things -- you insist on being told what the details are, and only then readily admit that in fact this particular human is a human (and millions of others remain in doubt). 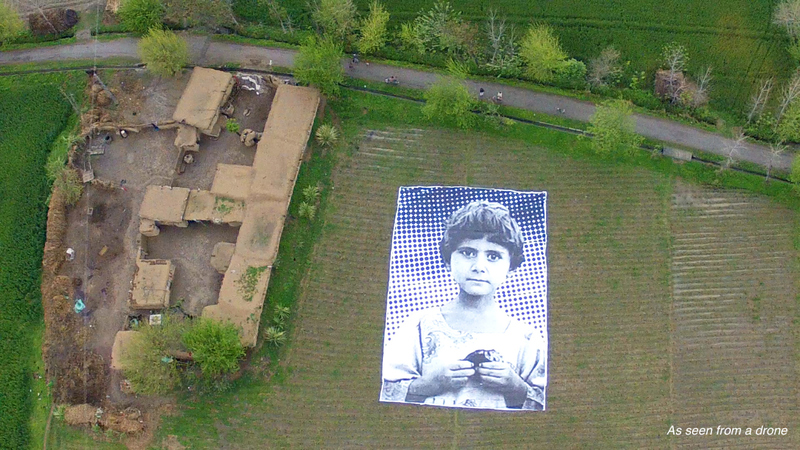 A drone killer must know that children have eyes and noses and mouths, hair and fingers. But this artwork presents it to the troubled brain of the humanization dependent observer. 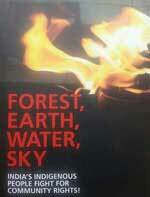 And what if you want to know more about the humans inhabiting Pakistan? More than just a face in a photograph? I recommend reading The Upstairs Wife: An Intimate History of Pakistan by Rafia Zakaria. Rafia grew up in Pakistan and moved to the United States. She can tell you intimate details about life in Pakistan from a perspective you recognize. Central to her story of migration and cultural change and political transformation is the life of her aunt whose husband chose to marry a second wife and move his first wife to the upstairs of the house. The status of women and of religion is put into sharp relief by this sorrowful account of deep personal injury and humiliation. Yes, this is another case of religion serving to worsen people's lives in ways that possibly used to make sense but have been dragged forward into the present only by the resistance of religion to rational change. No, this is not a revelation that Pakistanis hate Americans because their religion tells them to. People who hate the U.S. government tend to object to the destruction and killing of the U.S. military. And no, your religion, whatever it is, is not better than someone else's. The problem is not the flavor of the religion, but the utilization of magical rules in guiding people's lives -- that is to say, adherence to rules that on their merits would be abandoned but that are maintained because the great Whatchamacallit decreed so in the Holy Days of Whichamawhoochee. At least that's one of many impressions I take away from the book. You may have others. It's not a sad or contemptuous story but an enjoyable and educational one. And it's complex enough to render useless any generalization about what "the Pakistanis" do or think at all. The people of Pakistan have many backgrounds and all sorts of unique outlooks and circumstances. They are, in fact, a lot like you, me, your neighbor, your uncle, and the woman who works in the grocery store -- just with a smaller military than ours killing people in their names. David Swanson is an author, activist, journalist, and radio host. He is director of WorldBeyondWar.org and campaign coordinator for RootsAction.org. Swanson's books include War Is A Lie. He blogs at DavidSwanson.org and WarIsACrime.org. He hosts Talk Nation Radio.